Choosing the right packaging for your project is vital to a successful marketing campaign. It may seem that some products can virtually sell themselves, but the truth is nothing succeeds in the marketplace without due consideration being given to proper packaging and display techniques. One of the fastest growing markets today is the herbal supplement, including male enhancement pills and natural energy boost tablets. These lifestyle enhancing supplements are carving out a large portion of the health oriented consumer market. For the manufactures of these products, packaging and retail placement are paramount to securing a successful portion of the market. New marketing strategies for herbal supplements of all kinds have driven companies to rethink their packaging needs, and consider new methods of marketing their products. Up until recently, most healthcare supplements, such as vitamins, herbal tablets and over the counter pain medicines, have been sold in thirty, fifty or one hundred count bottles. Some herbal supplements have also been marketed in foil packs and blister packs containing multiple doses. These have long been the standard packaging models for over the counter medicines, and they continue to be the primary model for general retail sales. But manufacturers have begun to see the benefits of marketing herbal supplements in single dose packaging that can be marketed and sold through point of purchase displays. This new trend takes advantage of alternative packaging techniques that can safely deliver the product to the consumer, while creating informative and attractive POP displays that can help to drive sales. Single and limited dose packaging for over the counter supplements, such as male enhancement pills or herbal stimulants, can take a few different forms. The most common models are skin packaging and blister packaging. Skin packaging involves securing a capsule to a printed board by heating surlyn plastic film and sucking it over the product, to secure it to a printed board. Similarly, blister packs contain the capsule or tablet in a rigid PVC shell, which is then secured to a printed blister card. Both techniques offer product security, while providing the opportunity for manufacturers to aggressively market their products through the accompanying artwork of the printed cards. A less common packaging model for tablets and capsules, though equally effective, is the primary pouching of single doses of a supplement or vitamin, which can then go through a secondary packaging process in which the filled pouches are shrink wrapped or blister packed and secured to printed boards. The finished product can then be displayed, either on racks or in counter trays, for retail sale. 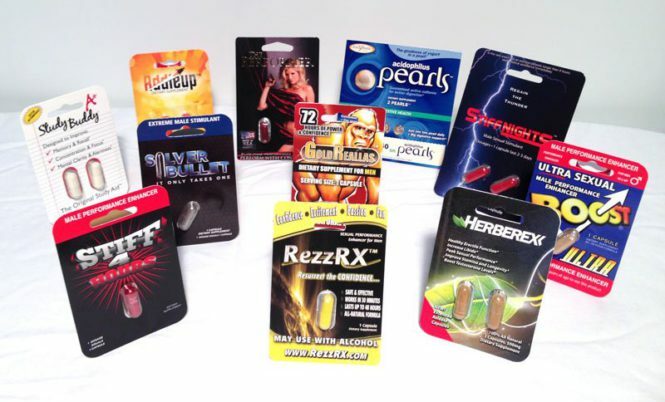 This marketing technique is quickly finding favor with many manufacturers, and can be found in the single dose retailing of male enhancement pills, vitamins and aspirin. One of the major benefits that all of these packaging models share is their flexibility. Blister packs and skin packs can be bundled into point of purchase displays for impulse purchase marketing. They can also be racked or shelved in drug stores and convenience stores as normal stock items. For manufacturers looking to grab a share of the burgeoning health supplement market, these packaging methods offer a way to increase both the visibility and sales potential of the product. Makers of health and lifestyle supplements who are looking for new and exciting ways to package and market their products, may wish to consider a contract packaging service that can prepare their products for the marketplace. Assemblies Unlimited is a state of the art facility with years of experience to draw on. Marketers of male enhancement pills, vitamins and herbals supplements should also take note that Assemblies Unlimited’s facilities are FDA, AIB and SQF certified. Alternative packaging can help companies grab their share of the lifestyle market, but it’s important to find a contract packaging firm that you can rely on. Assemblies Unlimited offers reliability, versatility and the quick turn-around needed to make your product’s packaging a success.